A Year of Being Here: Susan Terris: "Matin and Vesper"
rubythroat and trill of a tree frog. burns a promise of warmth. on the surface of a lake. as they lap to infinity. Stay. Keep watch with us. "Matin and Vesper" by Susan Terris. Text as published in Schuylkill Valley Journal and The Talking Stick. © Susan Terris. Reprinted by permission of the poet. 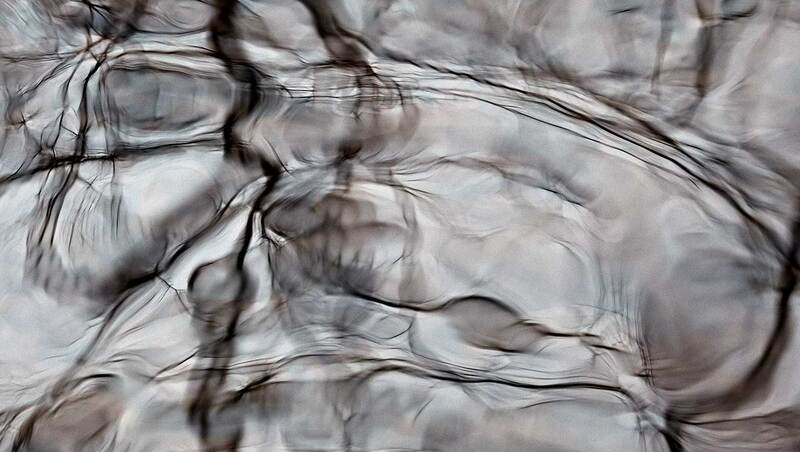 Art credit: "Ripples created by an insect known as the water strider," photograph by Mike Laptew.